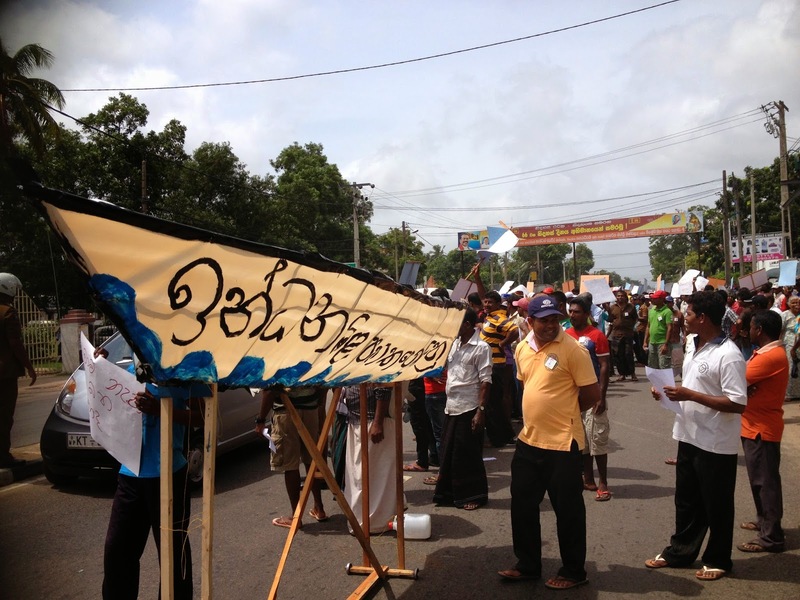 Fishers of Negombo and Chilaw have not conducted their fishing operations today (16/06/2014) as a token strike against stopping fuel subsidiary given for the fishers who are having crafts with inboard or out board engines after sudden increase of fuel price in 2012 February. 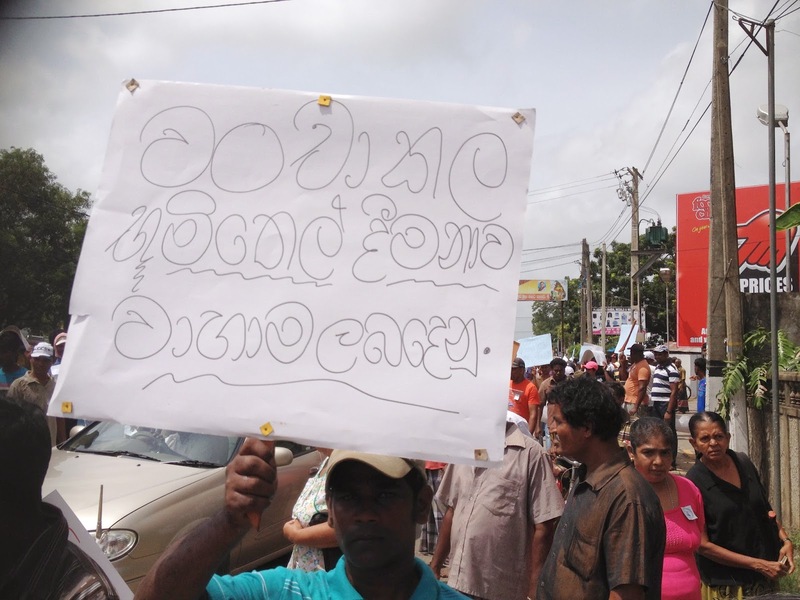 Government planing to give fisheries equipments instead of fuel subsidiary cards that can use when buying fuel for the boat. 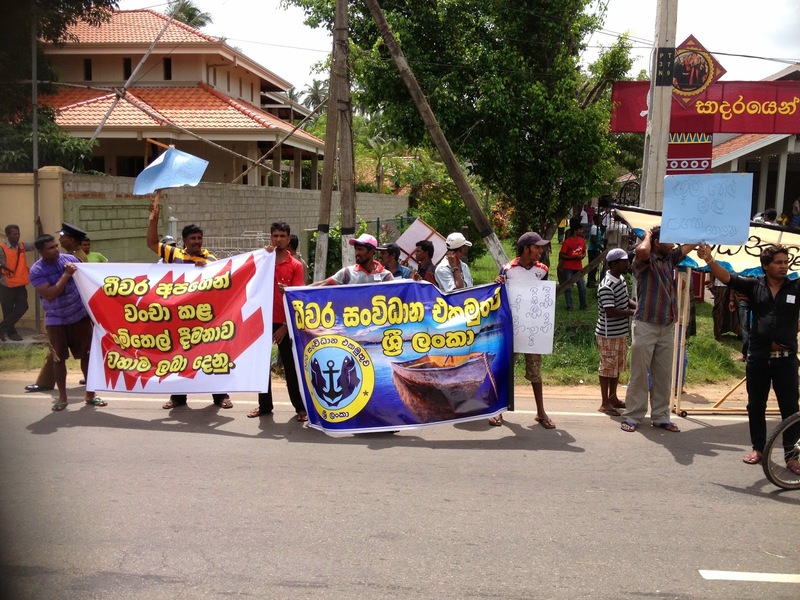 Fishers rejecting the proposal and asking for decrease of fuel price or give back the fuel subsidiary cards to the fishers . 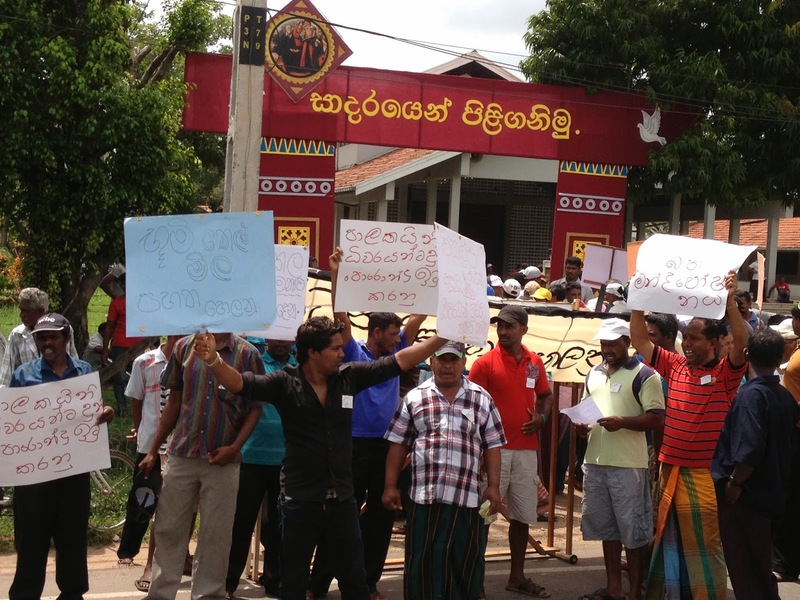 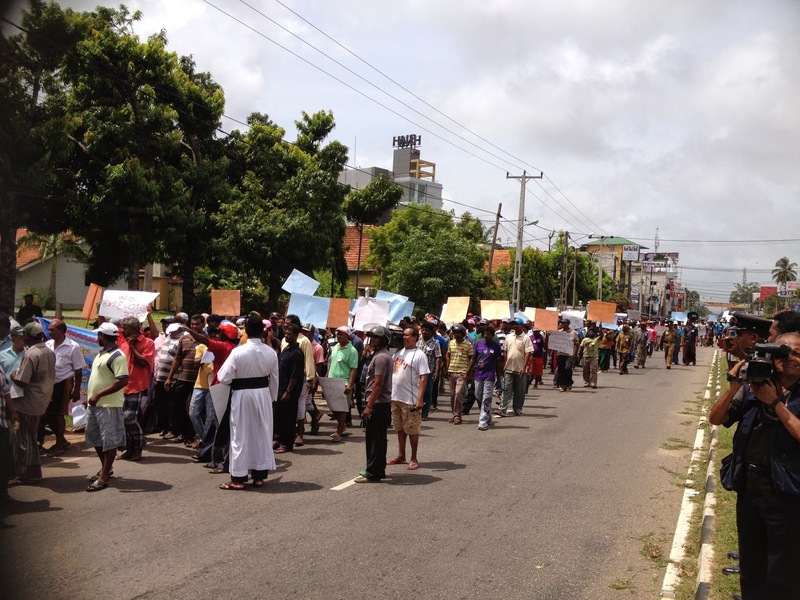 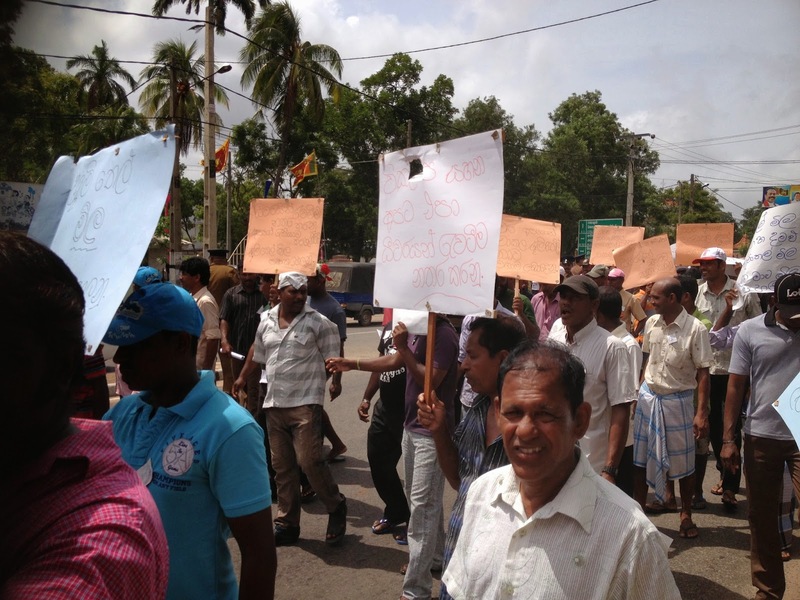 Fishers of Negombo conducted a walking protest from the coast to Negombo- Putlam main road asking for fuel subsidiary and stop the Fishing instrument fraud.